Come out to the best Cinco De Mayo party in Busan. The party starts early with a rooftop BBQ looking out over the beautiful city of Busan. followed by great music and dancing on the rooftop and in the Moose. 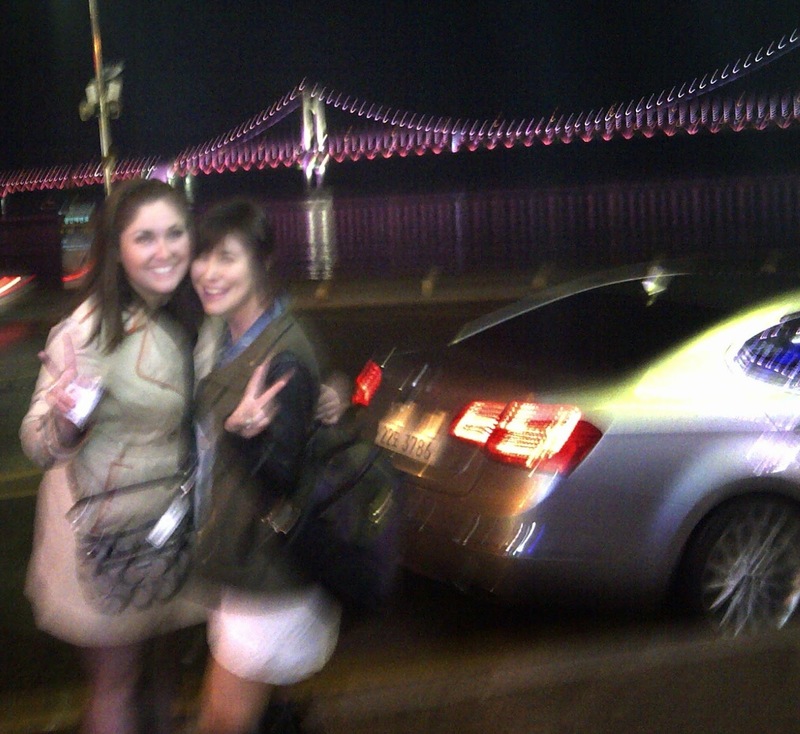 This weekend was mostly spent saying goodbye to George as she left Korea to return back to England. I finally donned my skates after a year and practiced with the ROKD giels, and we celebrated St Patrick's day by watching the rugby game. It's no secret that Koreans are some of the hardest workers in the world. From a young age, one spends his or her school days buried in books, memorizing endless pages of material, and hopping from math to English to art academy. There's very little time for play, or childhood even. Things don't change much by the time one reaches the workplace. Of the cities across the globe, those working in Seoul put in the most working hours per week on average. Efficiency has nothing to do with it, but because of their propensity to work hard, they find it necessary to play hard, too. And very few can play as hard as Koreans do. A big part of Korean food is Korean BBQ~ if someone abroad says they love Korean food, chances are they are talking about BBQ. 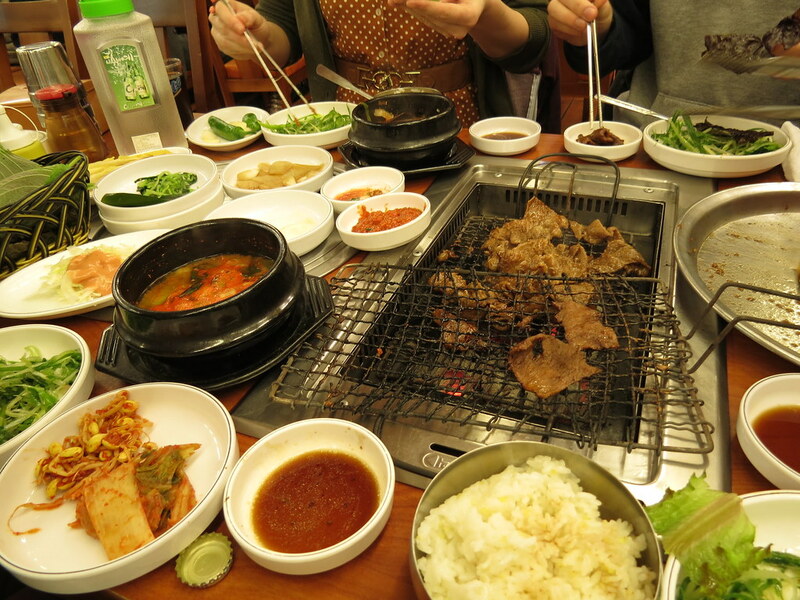 In Korea BBQ is cooked yourself at a table grill, usually with gas or charcoal in a variety of grill and pan styles. Meat can be marinated or cooked as-is~ what I will write about in this article is generally for un-marinated meats here, pork in particular! Dumplings, soju, grilled ribs, stews, chicken and lots of kimchi were on the table this week. 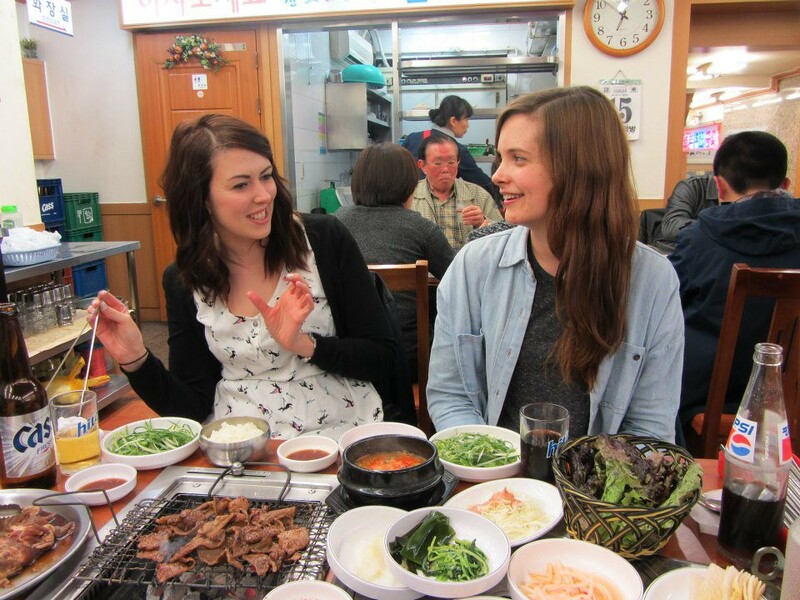 We’re starting to get the hang of Korean food, and discovering what we love, and some things we don’t. Last week, we concentrated on restaurants around our neighborhood, Suyeong and Gwangalli Beach, but these dishes can be found on just about every corner of Busan. Whoo~ This one took me a while to do. Anyways, it seems like everyone who enjoys chowing down on Korean BBQ from time to time has a favorite place that they consider to be the best. As a result, I’ve been introduced to all sorts of awesome restaurants that were pretty similar to each other. I guess it’s natural for the “best” to be different for everyone, seeing how everyone has different tastes.